Stan Reynolds Garage is a leading car repairers and MOT test centre based in Walsall. No job is too small for us, we are happy to check your tyre pressures for you or carry out your full annual service. Most of our customers are long standing regulars with whom we’ve built good relationships. They start off with bringing their own cars then their children’s and if even their grandchildren’s. Our reputation means everything to us, that’s why we always aim to give our customers our best. We can take care of all makes of cars from your classic to your brand new Mercedes. We really are small enough to care but big enough to cope. 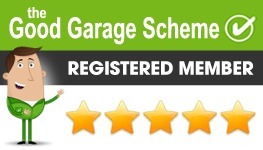 We are proud members of the Best of Walsall and the Good Garage Scheme and if you click on the links will see we have excellent feedback.